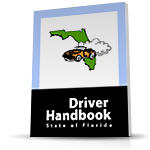 Drivers who have had their license suspended under the point system must enroll in this course to reinstate their driver's license. The DHSMV approved course is available through classroom or the internet. As with all of the courses, we offer students accurate and reliable information and the best support in the industry. Also in some cases, a judge may also order you to take you this court. Choose between the internet or classroom course. As with all courses, the internet course, for example, is broken down into easy to understand chapter. Each section is written so that you can understand the information and progress with the course. We have the best technical service and customer support in the industry, and are here to help you with any questions. We are confident that you will enjoy our 12 Hour ADI-Advanced Driver Improvement course. Classroom times and locations vary. The cost of the course is $99.